Anaco Announces the Winner of the Walking to Wellness Program | McWane, Inc.
Anaco just concluded their 14-week Walking to Wellness Program and are proud to announce that Jorge Arroyo was the grand price winner with 2,718,215 steps! 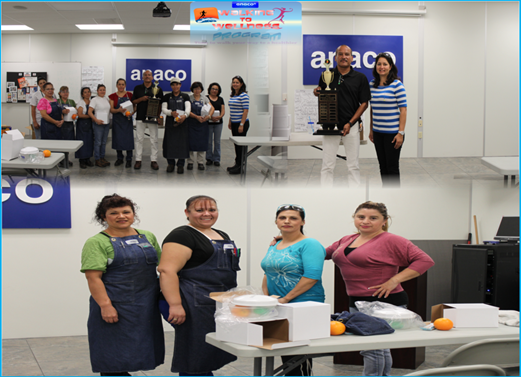 A total of 47 Anaco team members enrolled in January 2014 and 20 team members successfully completed the program on May 2 with an impressive 24,135,651 steps in all. The goals of the program were to help team members set a routine, establish long-term fitness goals, eat healthier meals, and work fitness into their daily routine by walking daily at home and at work while measuring their steps with a pedometer. All program participants received an award at the end of the program, but Jorge won a pair of walking shoes and had his name placed on a perpetual trophy. Congratulations to Jorge and the other Anaco team members for walking your way to a healthier you! Posted on June 19, 2014, in Get Healthy With McWane and tagged Anaco, fitness, Health, McWane, wellness. Bookmark the permalink. Comments Off on Anaco Announces the Winner of the Walking to Wellness Program.